I was recommended the good Professor whilst trawling around Spotify looking for new artists to listen to. I spend a lot of time travelling to and from work each day, so I’m always looking for something new and different to listen to. This splendid chap certainly ended up ticking all of my geek boxes. 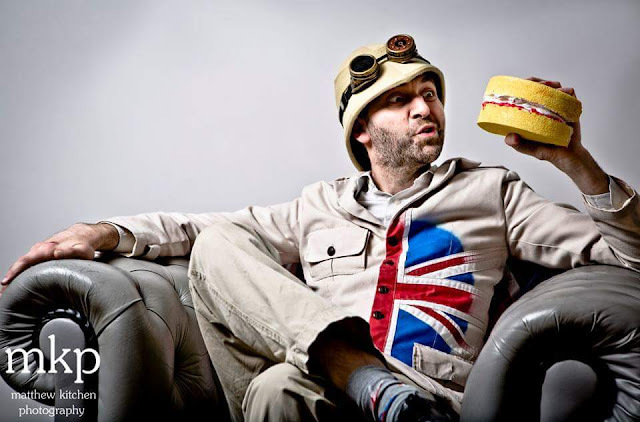 Professor Elemental is based in Brighton and trades in a very English take on Hip-Hop called Chap-Hop. The only way I can describe him is a polite Eminem, raised by the Monty Python team in a comic written by Jules Verne and illustrated by Jack Kirby. It’s certainly a niche market. 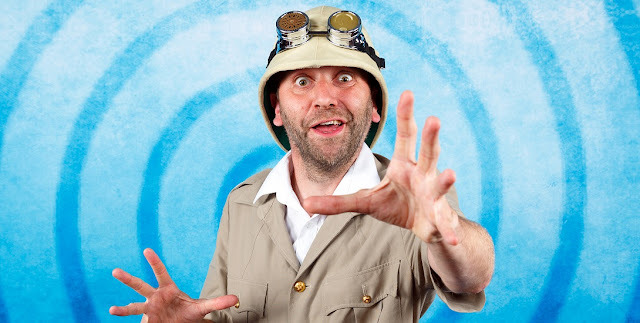 The Professor character, a geeky explorer / inventor who loves to experiment and go on adventures with his orangutan butler Geoffrey, was originally intended for just one album (“Rebel Without Applause” released in 2009) and takes what can only be described as a very English take on a style normally associated with the USA. 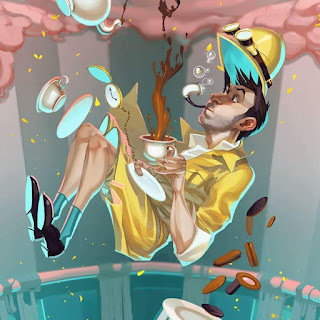 In fact, his first breakthrough was with the single “Cup of Brown Joy.” This ode to his love of a proper brew has over 2 million views on YouTube. He’s been taken to the bosom of the steampunk community and has also appeared at several comic conventions across the globe. After a few listens to his albums I decided to take the plunge and go over to his Bandcamp page www.professorelemental.bandcamp.com so I could purchase some of his work (I do like supporting independent artists). 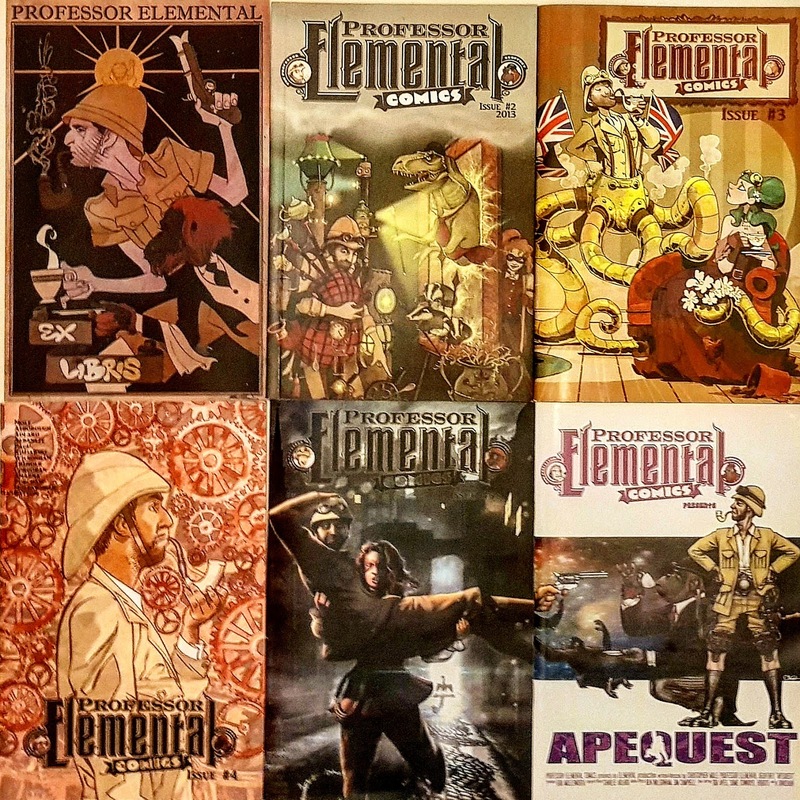 There I found a bundle that included not only his CDs but the series of Professor Elemental comics too! I quickly entered my card details into my phone and waited for my order to be dispatched. Within a few days I had my delivery... and what a delivery it was! In the bundle were several albums as well as some comics (his merchandise also includes card games, tea and banana humbugs). Musically, his backing is provided by long-time collaborator Tom Caruana, and it’s a peculiar mix of beats, Victorian music-hall and Brechtian cabaret. A potent and heady mix. The Prof’s style is very English gentleman, but with tongue planted firmly in cheek. The songs aren’t overly long and bounce along quite merrily. Tracks include “Fighting Trousers” (a ‘Diss’ track as the kids might say), “I’m British” (a celebration of being British with an apology for everything bad we’ve also given to the world, including Simon Cowell, racism and Piers Morgan), the sultry ballad “You Remind Me of a Car” (with the lyrics “You’ve got a lovely set of goggles, and yes that is a euphemism”) and “All In Together Now” (a theme song for everyone who’s a bit of an individual). My favourite Professor Elemental albums are “Father of Invention” and “Apequest”, which create a narrative for the character over a two album arc. 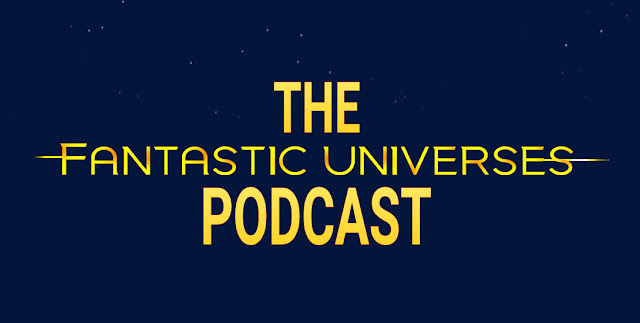 The first of the pair explains a lot about the Professor and his relationship with Geoffrey the ape butler, whilst giving you an insight into life at Elemental Manor. At the end of the album, the Professor finds his butler wearing his time travel trousers before prompyly vanishing. “Apequest” sees the Professor travelling through time trying to rescue his companion from various different situations before revealing a villain who’s been behind it all. There are plenty of geeky nods here, from Danny Kaye’s “The Court Jester”,” Doctor Who”, “The Hitch Hikers Guide to the Galaxy” and the “Red Dwarf" episode “Gunmen of the Apocalypse”. The end of the album also pays homage to Hal from “2001” with a coda that leaves an opening for another sequel. Hurrah! The comics are great value too. These aren’t some cheap fanzine style knock offs printed on toilet paper... Oh no! These are printed on good quality stock and feature short tales based on some of the songs, as well as new adventures written specially for these strips. Contributing artists include Charlie Adlard (“The Walking Dead”), Brian Kesinger (Disney animator) and Verity Glass (“Doctor Who”). They remind me of the old anthology comics you used to get as a kid back in the seventies (yes, I’m showing my age). They're like quirky versions of “Future Shocks” from the British stalwart comic “2000AD”, albeit with a more pronounced sense of humour. 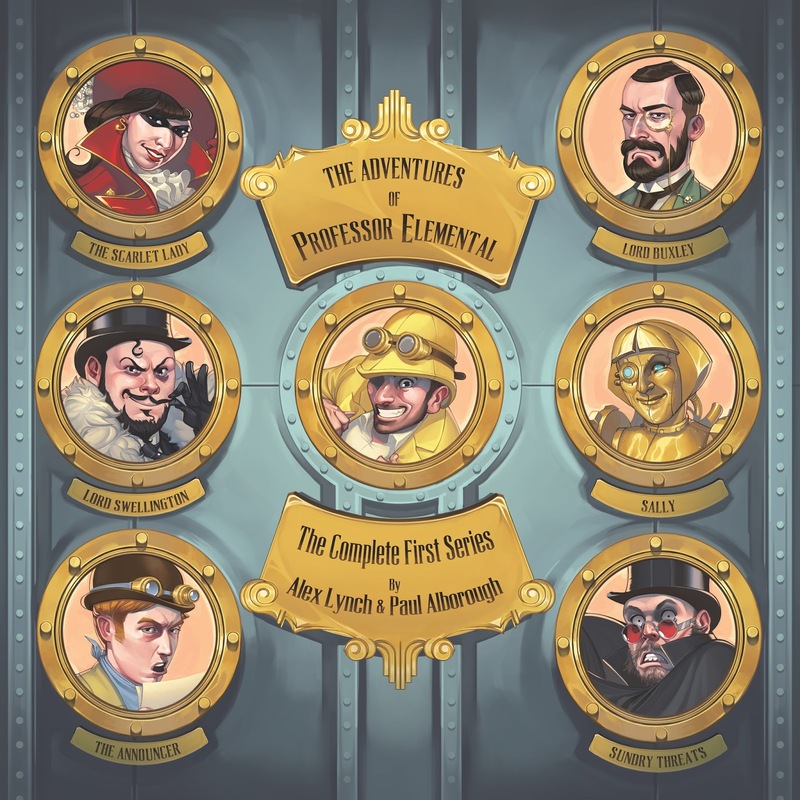 Speaking of humour, if you head over to the Professor’s Bandcamp page not only will you find his albums to purchase for download or CD, but you will find “The Adventures of Professor Elemental”. This is a four part episodic adventure series like an old dramatic radio presentation. 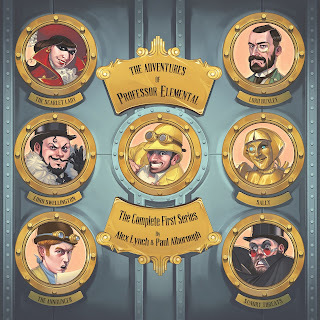 The episodes centre on Professor Elemental’s attempt to gain membership of a gentleman’s club. Each story is relatively short, around twenty minutes, and ties in with a song from his albums (“The Quest for the Golden Frog”, “The Attic”, “So Long Sally” and “A Fete Worse Than Death”). They’re light, fun romps that rely on a typical British sense of humour that’s a bit of a throwback to a bygone age of entertainment. And if after all that you still want more (and why wouldn’t you?) take a quick trip over to his Patreon page (www.patreon.com/professorelemental/posts). Here you can become a patron of his work, contributing as little as a dollar a month towards helping fund new songs, eps, videos and the like. It really gives you a warm glow inside to know that you’re providing an artist the funds they need to help continue their work, whilst still being able to remain independent of any major label interference. Professor Elemental is a whole lot of fun. There are messages there in his music if you want to look for them, but for me it’s all about enjoyment and being entertained... which he delivers in spades! So put on your finest smoking jacket, decant yourself a glass of the finest horse brandy and get the servants to pop his tunes on your gramophone. I’m sure you’ll be pleased you did. I think you'd also like Mr. B, the Gentleman Rhymer. He's the person who 'Fighting Trousers' is aimed at. I'll check him out, but am truly a fan of the Prof. 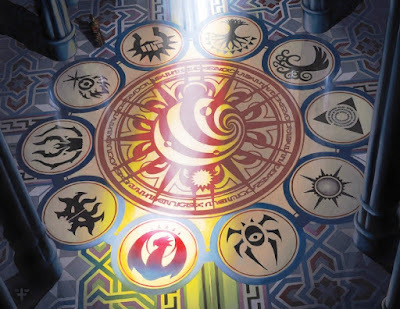 I wouldn't want to start an inter-dimensional, multi-universal conflagration, with potential cataclysmic and catastrophic consequences, that could rip asunder all of reality as we don't know it.